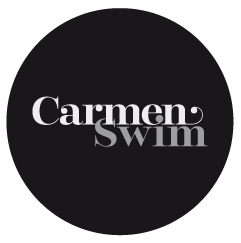 CarmenSwim is committed to safeguarding your privacy. Contact us at hola@carmenswim.com if you have any questions or problems regarding the use of your Personal Data and we will gladly assist you. Google Analytics: A web analytics service provided by Google, Inc., a Delaware company whose head office is at 1600 Amphitheater Parkway, Mountain View (California), CA 94043, United States (“Google”). Google Analytics uses “cookies”, which are text files located on the computer, to help bycarmen.es to analyze the use made by users of the website. The information generated by the cookie about its use will be directly transmitted and archived by Google on servers in the United States. Hosting: ProfessionalHosting, with residence in Spain. More information at: https://www.profesionalhosting.com (Soluciones Web On Line, S.L.). Soluciones Web On Line, S.L. treats the data in order to perform its hosting services to Carmen María Castro Ortega. Web platform: Automattic Inc., with address in the USA. More information at: https://es.wordpress.com/ (Automattic Inc.). Automattic Inc. treats the data in order to perform its web platform services to bycarmen.es. Address: C/ Fábrica de Clotilde 16, 2ºB, 04770 Adra, Almería. Last modification was made 25 May, 2018.